We must force the government to stop the bird migration. We must shoot all birds, field all our men and troops… and force migratory birds to stay where they are. 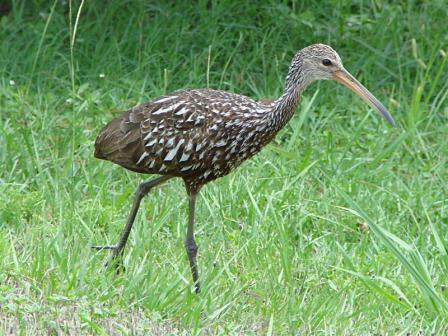 The Limpkin (also called “carrao”, “courlan”, “crying bird”), Aramus guarauna, is a bird that looks like a large rail but is skeletally closer to cranes. Its name derives from its seeming limp when it walks. 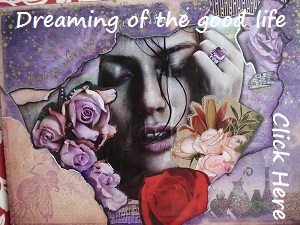 It is found mostly in wetlands in warm parts of the Americas, from Florida to northern Argentina. It inhabits freshwater marshes and swamps, often with tall reeds, as well as mangroves. The Limpkin feeds on mollusks, with the diet dominated by apple snails of the genus Pomacea. Limpkins forage primarily in shallow water and on floating vegetation such as water hyacinth and water lettuce. Ibises have thinner more strongly decurved bills and lack white spots on upperparts. Immature Night-Herons have much shorter legs and necks, and shorter, thicker bills. 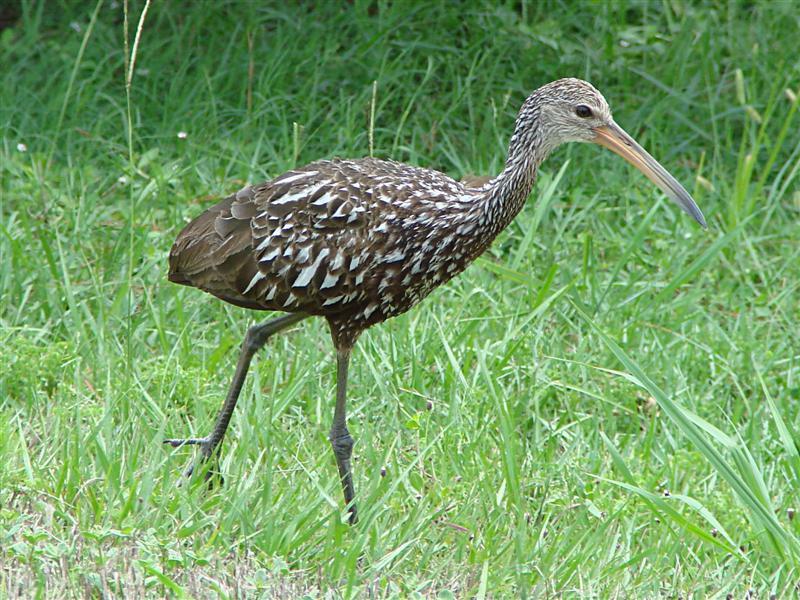 Limpkins are largely nocturnal and crepuscular, except that in Florida refuges, where they do not fear people, they are active during the day. Even so, they are usually found near cover. Limpkins may be either monogamous, with females joining a male’s territory, or serially polyandrous, with two or more females joining a male. Aramus guarauna, bird quotes, carrao, courlan, crying bird, genus Pomacea, inspirational quotes, Limpkin, Migration, Vladimir Zhirinovsky, Vladimir Zhirinovsky Quotation, Vladimir Zhirinovsky Quote. Bookmark.